This is a delicious salad that you can prepare in advance to have for dinner. I did mine in the morning, left it in the fridge and listo! Dinner was ready in no time. You can either serve it with tostadas or crackers. 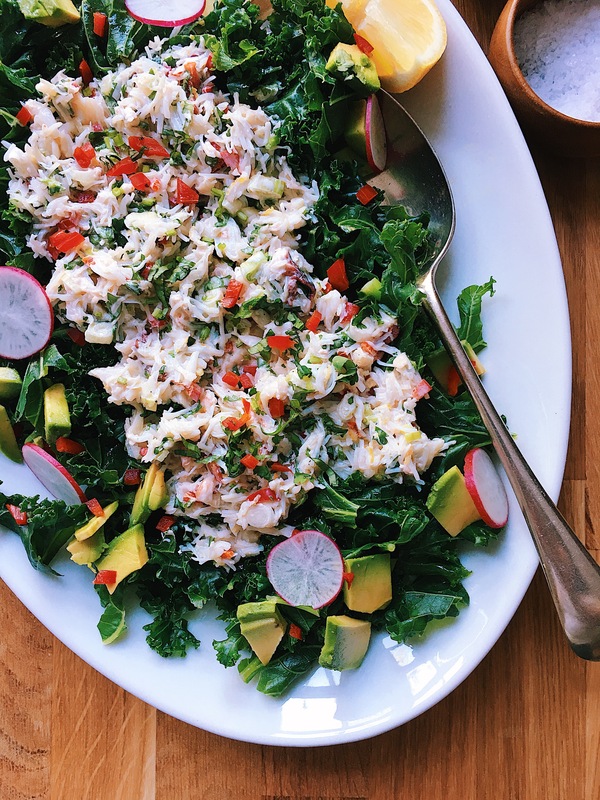 In a bowl mix the crab meat with the mayo, sour cream, coriander, chilli, lemon zest and lemon juice. Set aside. To make the tostadas, place some tortillas in the oven to 180 degrees for around 15 min or until golden brown. Take them out once they harden. Set aside. Wash and steam the kale for 10 min and place it on to a serving place. Add a pinch of salt and olive oil. 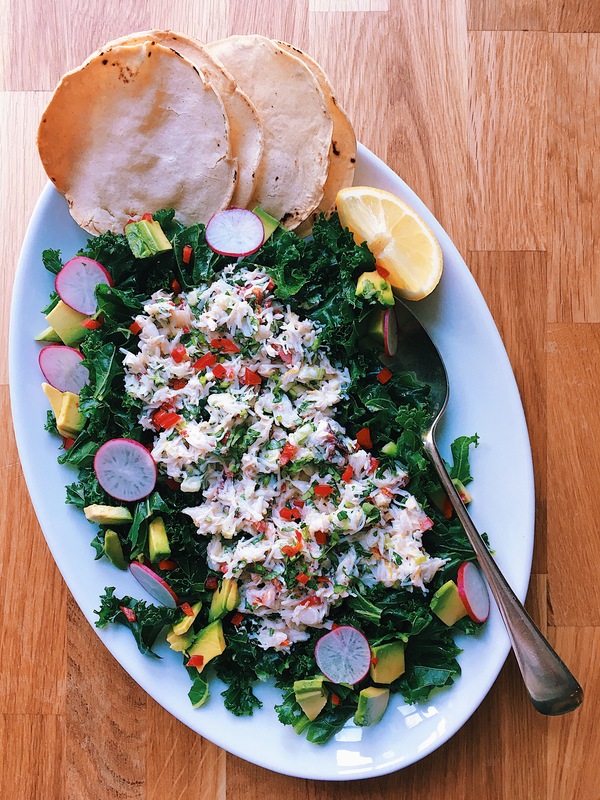 Place the crab meat mixed with veggies on top of the kale and scatter some avocado and slices of radishes. Eat the salad on top of a tostada and enjoy them with a nice cold drink and maybe some spicy salsa.